I believe Singtel is the only telco company that consistently host the launch of Apple beloved iphone. It was an early morning event where iphone customers would have already registered online to buy an iphone. They were invited to this early morning event where they queue up to bring back their iphone. 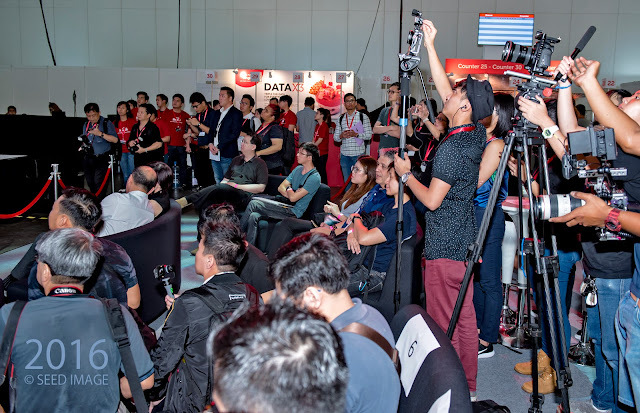 This is my second time covering this unique Singtel event. First 10 person in the queue will be up in the stage and Singtel will award for coming to the event. Besides iphone registration, Singtel also introduces add-on for your iphone. You can get the information from this event. 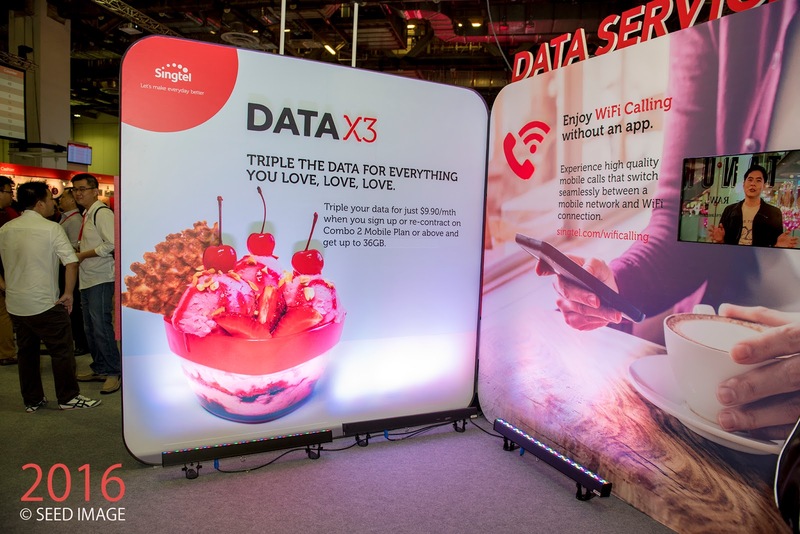 One of the Singtel add-on launch is the DataX3. Check out my blog on DataX3 by clicking here. Mr Wellson Lee, Singtel’s first iPhone 7 customer at Singtel’s iPhone 7 launch and congraluted by Mr. Yuen Kuan Moon, CEO for Consumer Singapore (Singtel). 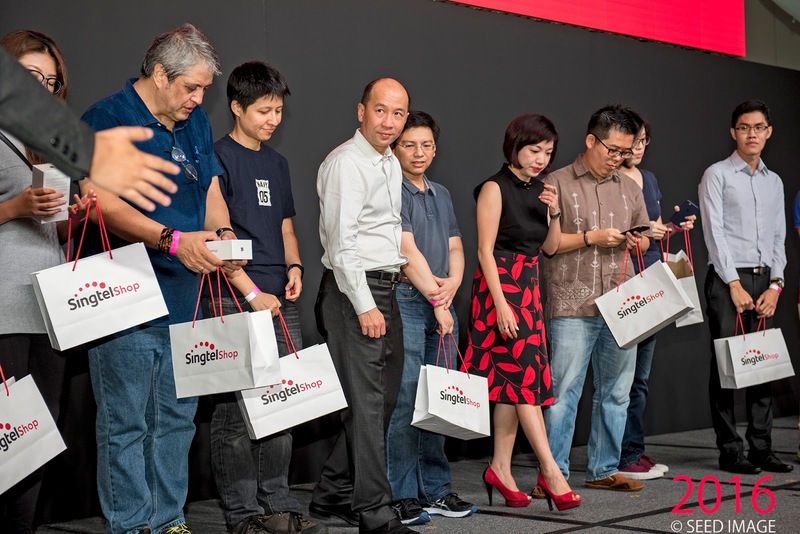 IT architect, Mr Wellson Lee, 38, was Singtel’s first iPhone 7 customer at the opening of its three-day launch event at Marina Bay Sands Convention Centre. 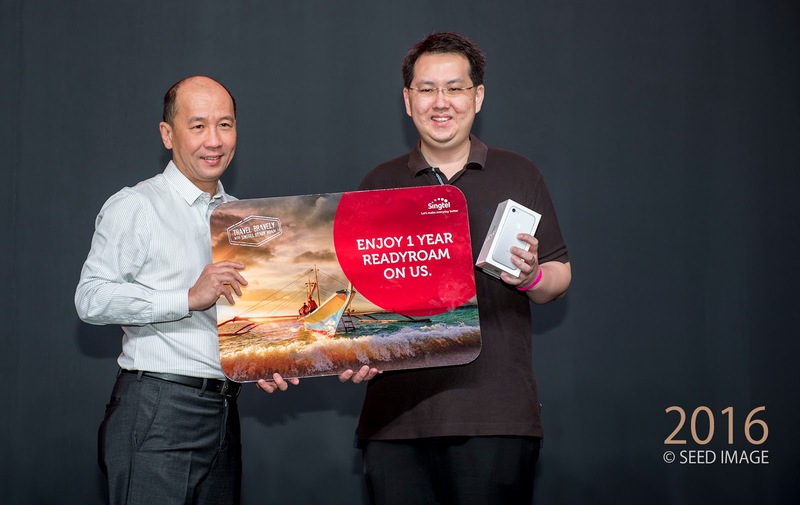 A Singtel customer for more than 10 years, Mr Lee purchased a Black iPhone 7 and was also given a one-year ReadyRoam subscription for being the first in line. There is a marked difference when I was covering the Singtel iphone 6S launch. Top ten iphone customers no longer need to stand at the 60 over counter to register their iphone ( see here for my previous blog post ). They have nice sofa seats to register their iphone 7 for the top ten. This shows how Singtel is always improving her services for her customers over every launches of iphone. Top ten customers get a sofa seat to register their iphone. 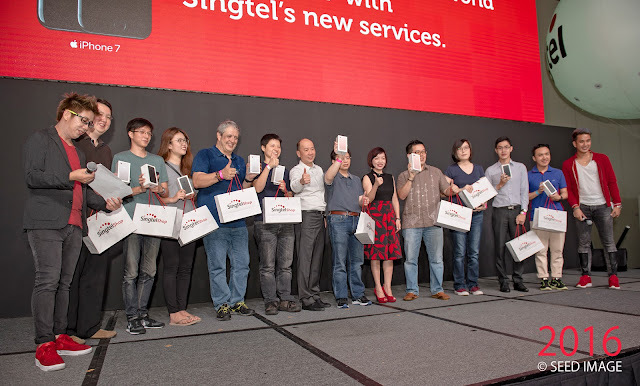 If you missed this iphone event launch, wait for the next Singtel's Apple iphone 7S launch. Hope to see you on stage as one of the top ten early buyer of iphone. See you soon. The media never fail to cover this Singtel iphone event over the years. 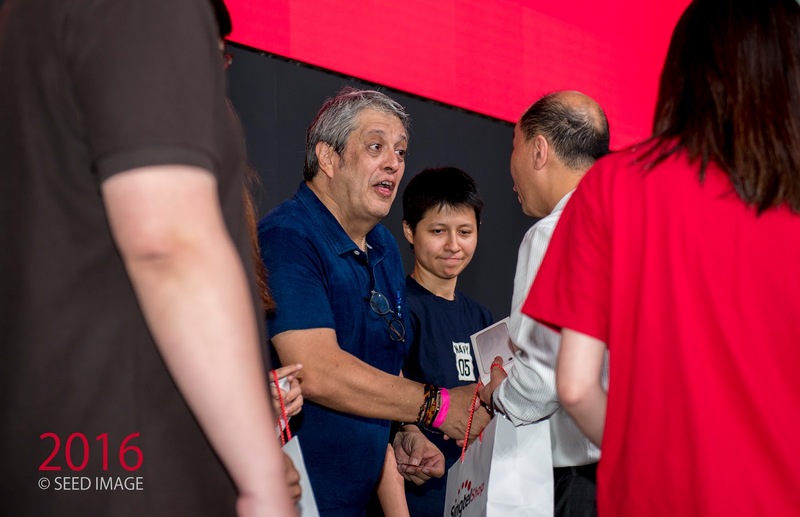 Mr. Yuen Kuan Moon, CEO of Consumer Singapore congratulated one of the top ten customers for Singtel iphone 7. Everyone getting ready to launch the iphone 7. 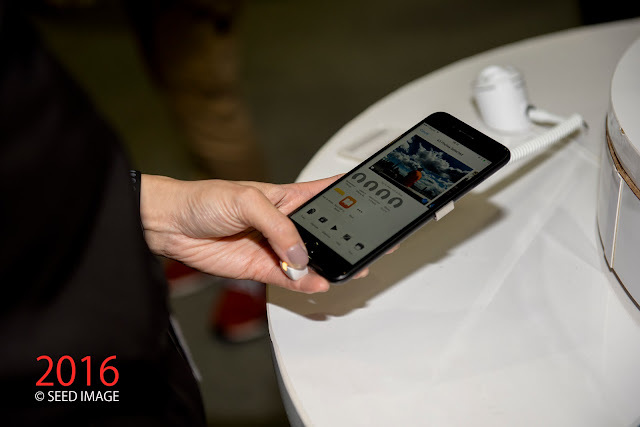 The new iphone 7, let's not dream about it, get it now from Singtel with their amazing plan. Well, I am getting my iphone 7 plus soon from Singtel. Is about time to upgrade from my humble iphone 4. What about you ?